Chris Cole defeated Mike V. and “The Chief” fell short of a victory to the fastest skateboarder on the planet, Dennis Busenitz. Both were unique matches and I’ve already lost when it comes to getting the winners pole accurate. Some of you out there on the other hand are still dead on with your votes. The Chris Cole and Mike V. match was interesting because it was the first match of them all and the two riders are complete opposites. Chris Cole was the obvious favorite for the win by pretty much almost everyone out there, but Mike V. did have a good point when he stated, “Since when does skateboarding have rules?”. I totally feel that holds truth in the skateboarding world. There should be NO rules at all on how you skateboard but when it comes to a game of SKATE, I guess you really have to put limits to what can be done otherwise things would get to complex. Then there was the Jamie Thomas and Dennis Busenitz match. Jamie held his ground for a good while but Dennis was just on fire that day. You could tell the dude had been prepping for this match against one of skateboarding’s greats. Even though Jamie lost, he did super good and I give the man props for being able to still participate in a match like that when heaven knows how busy he is. The dude runs an entire skateboarding distribution and still finds the time to practice some flatground trickery for a match against “The Flash” of skateboarding. 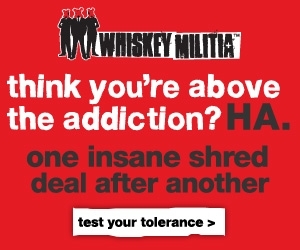 Now that’s tough! The matches were good and next up is Heath Kirchart vs. Lizard King which will seriously be one of the most unpredictable matches ever assembled. Heaths got some flat skills but Lizard has some tricks up his sleeve that I am sure we will be surprised upon viewing. Its going to only get better and already this 2nd round of Skate battles is turning out to be even more amazing than the first! You heard correct! 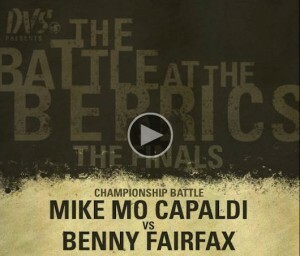 Battle at the Berrics is going down already! It’s crazy because you would think it would’ve become an annual thing for sure. Instead, we got a second competition within what seems like only a month. What I love most about this is the fact that there’s basically almost an entirely new line up in this one and YOU get to choose who will be competing in the new competition. Only 32 of the long list of names will be graced with a position in the almighty bracket. There are some incredibly surprising names listed in the new batch. Mark Gonzalez, Guy Mariano, Jamie Thomas, Geoff Rowley, and Daewon Song. I haven’t even begun to even touch the surface of the pool of superstars up for election. Seriously, can we all vote in Daewon Song? I would love to see him play in a game of skate. I’ve never see him do ANY contests. Plus, he is by far a favorite for me personally. Jimmy Carlin will probably make the list and KILL it at that. The dude is a veteran when it comes to the game of skate. Expect to see him in the finals for damn sure. To be quite honest, I am more excited to see this second Battle of the Berrics go down. Who will win it? If I am not mistaken they will do a prediction poll again on the Berrics. I’m backing Daewon or Jimmy on this one. Who do you think will win it? An online ledge competition? That’s a new one right? To top it off, the grand prize winner gets a buttery granite bench that PJ Ladd was tearing up? Sounds like a recipe for greatness. Judging by the skateboarder they’ve chosen to feature for this contest, I wouldn’t say it’s an easy win. You can probably imagine what kind of tricks he’s going to be doing on the ledge. The Berrics and DC got together for this contest and you can enter by posting comments on the designated page. There are a host of prizes being given away. You can win his new DC shoes, which cost a whopping $120.00 a pair and probably even more for the gold color way that’s lurking around. Its pretty pimp how PJ is wrecking $120.00 shoes every time he skates don’t you think? Three people will get a year’s supply of gear and 6 pairs of the PJ shoe. At the end of the contest, Mr. Ladd himself will choose the grand prize winner who will have a brand new marble bench. According to the contest officials, if you have an apartment or no space for the bench, they’ll either give you a life long membership to a park where they will place it, or hook you up with $5,000 worth of gear. I would hardly think the bench costs anywhere remotely near 5k but shoot, that’s what they’re offering. So polish those ledge skills and bust out with the wax because it’s going to be one hell of a contest. They say you have six days to turn in the footage but you know heads are going to be uploading their footage that very same day. Mike Mo wins Battle at the Berrics. We finally have our winner! Some of you may have predicted it, some of you may have not. Actually, I doubt anyone got the exact lineup of who would win what but I’m positive many of you were going with Mike Mo Capaldi for the gold. And boy was it one hell of a game. I actually thought the match up with him and Billy Marks was a bit more heated than the final game though. Also, I’m pretty sure tons of people underestimated Benny Fairfax and said PJ Ladd was going to win. I am glad Benny made it into the finals, I’m so stoked for him. The entire redemption battle that went down was awesome! Super cool idea and another great chance to see some epic game of SKATE battles go down. A lot of contenders were missing though if you noticed. I hope they make this a yearly thing there at the Berrics. It was pretty awesome to watch it go down. And a surprise $10,000 cash prize? Mike Mo Capaldi just came up big time. 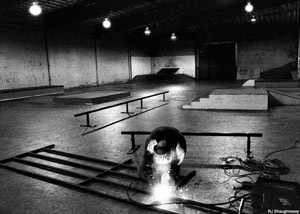 In the world of skateboarding, indoor training facilities are more common than ever. But perhaps one of the most prestige and exclusive of these facilities would be owned by none other than Steven Berra and Eric Koston. They call it “The Berrics” which makes me think of something like a skate battle ground or something. This website is awesome; it has tons of exclusive-legit footage to view from some of the biggest names in skateboarding. They have various different sub sections within their website defining the various segments. Things such as Battle Commander, which features a legendary skateboarder basically throwing an epic mini part in the skatepark. Recruits, which features a new upcoming Am tearing up the park like there’s no tomorrow. United Nations, in which a full on skateboard companies team is invited to session the skatepark together. Department 8, in which some pretty famous celebrities come and skate the park. There’s also quite a bit of other feature segments within the website. The footage on this website is legit and the website is a definite must to check on a normal basis. My personal favorite would have to be Guy Mariano’s Battle Commander segment, he absolutely annihilates the park. I also enjoyed watching Jason Lee throw down some sweet tricks in the Stereo segment of United Nations. Not one of the featured videos disappoints. Big ups to Steve Berra and Eric Koston for throwing up this amazing website and skatepark. 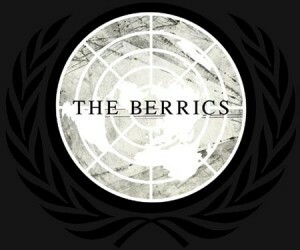 I’m seriously without a doubt looking forward to seeing more episodes to come on The Berrics.